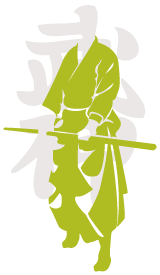 The Bujinkan Jervis Dojo is a martial arts school based in Manchester, England. We run classes in Bujinkan Budo Taijutsu (commonly referred to as Ninjutsu/Ninjitsu) highly effective for self-defense in modern times. The Bujinkan is an international organisation headed by Soke Masaaki Hatsumi who inherited nine traditional schools of martial arts from his teacher Toshitsugu Takamatsu. The schools are a mix of Ninja (ninjutsu/ninpo) and Samurai traditions dating back over 700 years that were developed and practiced for combat survival. Due to the nature of training, Bujinkan Budo Taijutsu is not a sport and there are no competitions.